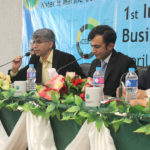 Uthal: The term ‘game changer’—with a more or less both positive and negative impact—was the point that kicked the discussion among the panellists gathered to discuss the pros and cons of the Chinese dragon, much known as CPEC, in first international conference on economic, business and social research (ICEBSR) arranged at Education Faculty of Lasbela University of Agriculture, Water and Marine Sciences (LUAWMS) with the cooperation of Higher Education Commission (HEC) Islamabad. 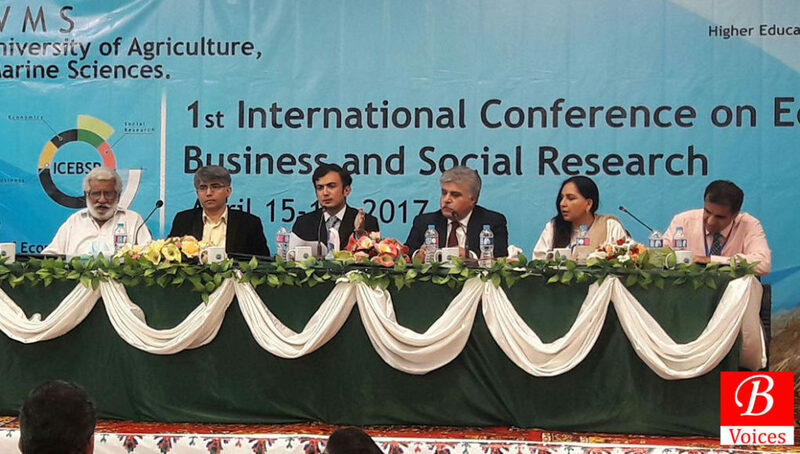 The two-day conference, started on 15th of April and culminated on 16 April, was the first international conference which was purposely held to discuss overall research related to the economic field and to boost research-based projects in social sciences. “We have talked a lot about the word ‘game changer’—a cliché what moderator believed—what is it and its in-depth meaning?” Adnan Aamir, the moderator of the programme, kicked the discussion with raising the question to the panellists. The issues, encircling the project currently, were multidimensional which heated the debate until the session reached to the question answer session with the audience. 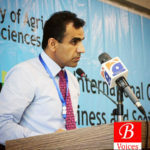 Human resources define development not roads and cement believed one of the panellists Mr. Hafeez Jamali, an assistant professor at Habib University. 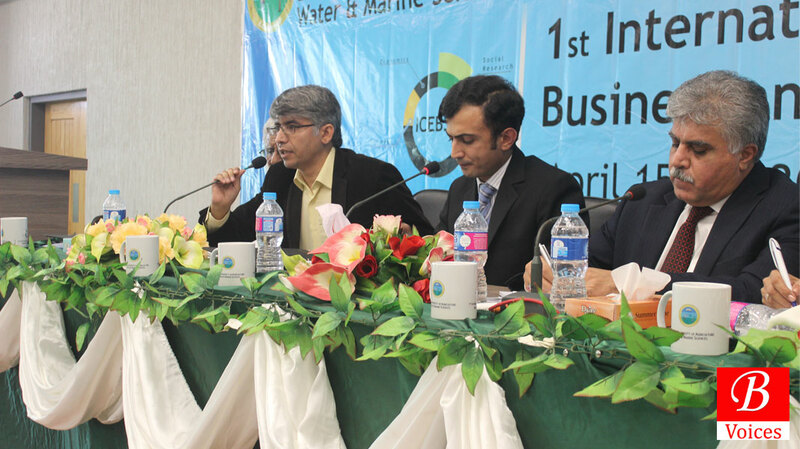 “Development-related projects in CPEC touch Burma and Sri Lanka but there are protests about its proper distribution too,” said Mr. Hafeez Jamali responding to a question. On the other hand, responding to the question related to the CPEC’s fair distribution, Mr. Dostain Jamaldini, chairman Gwadar Development Authority (GPA), said the things regarding CPEC have been made obfuscated. “There is no connection between eastern, western or central route to CPEC. In fact, CPEC is a corridor those who go with it shoulder by shoulder would be benefited,” he emphasised. According to Mr. Dostain Jamaldini, the people lacked information about CPEC which made them to be too quick to reach a conclusion, without assessment, on the matter which, for him, was wrong. He further believed that youth must be told the truth instead of keeping the youth chained with the controversial debates about CPEC. 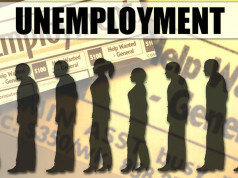 “The process of change has started,” Mr. Jamaldini emphasised. 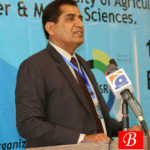 For Mr. Jamaldini, the weak institutions of the province and MNAs were the hurdles in the path to development as the MNAs often objected the proposals, on the basis of favouritism, made for development schemes. However, the most important question raised by the moderator was about the lack of information sharing by the federal government about CPEC and its related projects. “The information which is incomprehensible for masses shall be confidential and dealt with by the federal government,’ replied Dr. Nuzhat, a researcher, to the question about keeping information confidential by the government. Nevertheless, she believed that academia across the province should have worked on small projects and on data bank to conduct small area-based researches and proposed to the government about the projects they needed. 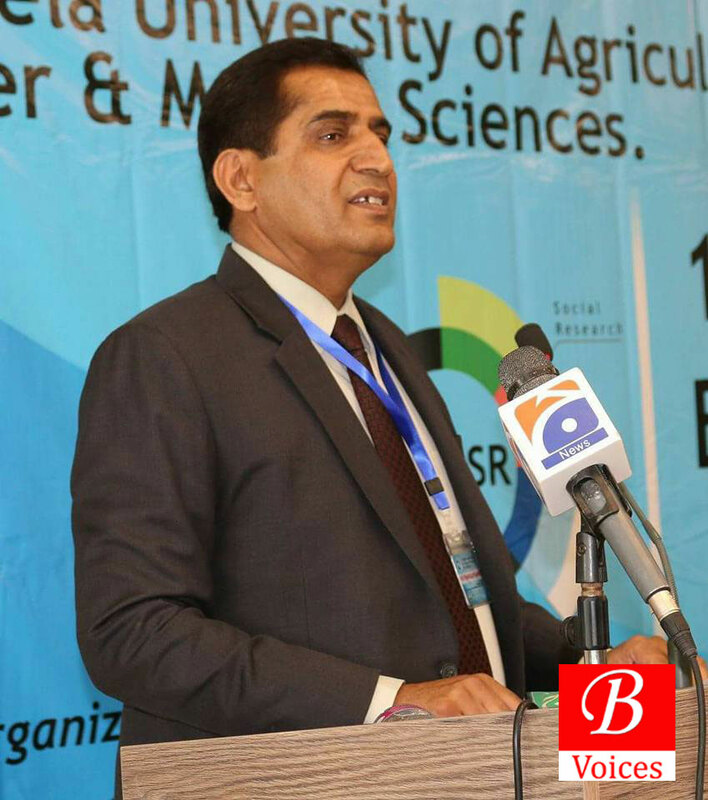 With demographical change associated with CPEC and its reality and myth, Dr. Manzoor Ahmed, Dean Faculty of Social Sciences and chair of the conference, refuted the concept that the Baloch majority converting into minority with the influx of Chinese migrants will be a fact. 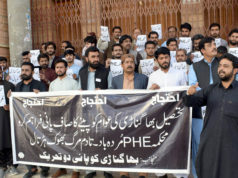 In a response to a question about energy crisis and dreamed salvation from the malaise of crisis after CPEC’s initiative, Mr. Abid Mustikhan, ex MD Saindak and a well-known columnist, said energy crisis did not seem to be finished unless the capacity of grids increased. However, it was interesting to listen to the remarks about Chinese and their technological quality while legitimating it with the modern China as it has developed now. To add it, China churns out products (often of a low quality) and faces numerous anti-dumping cases at Word Trade Organization. 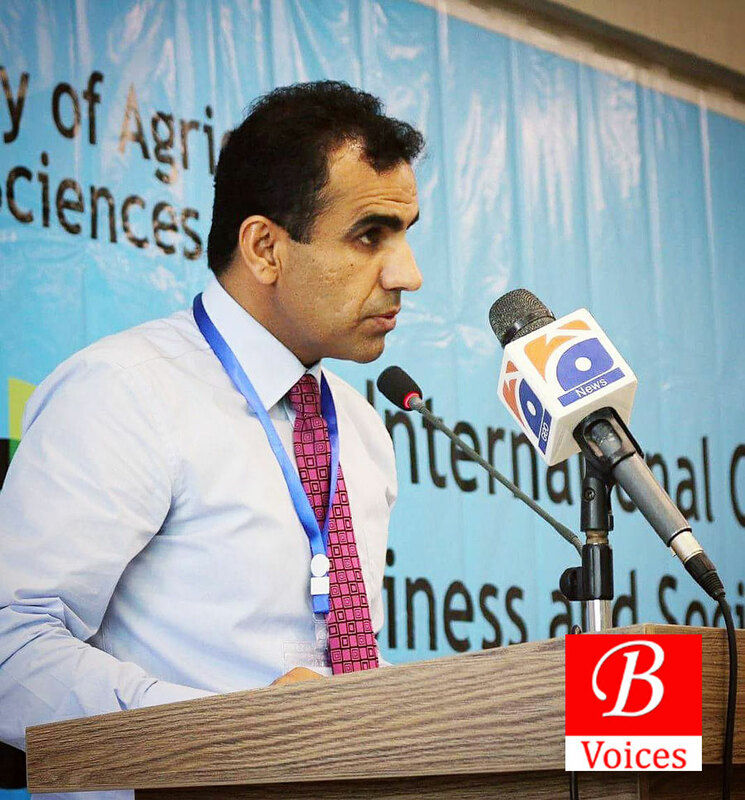 The question session, which heated the debate finally, ended with quite legitimate questions about CPEC and its impartial benefits to the masses after Vice Chancellor LUAWS, Dr. Dost Mohammad Baloch, winded up the conference with his final remarks.